Multi-national corporations interested in the Chinese market – companies such as Apple, Microsoft, Google, Coca-Cola, Disney, American Express and Nike - have websites in the Chinese country-code top-level domain, .CN. Now, they can saturate the world's largest market even further. For the first time in the history of the Internet, the Internet Corporation for Assigned Names and Numbers (ICANN), which oversees the domain name system, is allowing top-level domains (TLDs) in non-Roman script. Applications were submitted for 116 so-called Internationalized Domain Names (IDNs), meaning the Web soon will include TLDs in Chinese, Japanese and South Korean characters, Perso-Arabic, Hindi, and Cyrillic. The incorporation of these TLDs has already begun. It's time for American businesses to take notice, and consider if they should have a presence in this space. Chinese-character TLDs offer Western businesses a way to tap into the vast Chinese consumer market in an organic and culturally adaptive way. 在线 (.ONLINE) and .中文网 (.CHINESEWEBSITE) opened to the public at the end of April and broke registration records within an hour of going live, according to the owner/operator of the two TLDs. Today, according to ICANN’s publicly available zone file data, the TLDs are in fifth and 15th place, among more than 100 new top-level domains, with website registrations of 33,838 and 15,580, respectively. The Chinese State Commission for Public Sector Reform, having advocated for internationalized domain names for many years, is now set to reap the fruits of its efforts. As the applicant for .政务 (GOVERNMENT) and .公益(PUBLIC INTEREST), the reform office issued a directive two years ago encouraging government agencies and public interest organizations to register websites in the common domains of .政务.CN (GOVERNMENT) and ".公益.CN (.PUBLIC INTEREST) to acclimate the Chinese people to the use of Chinese character domains. 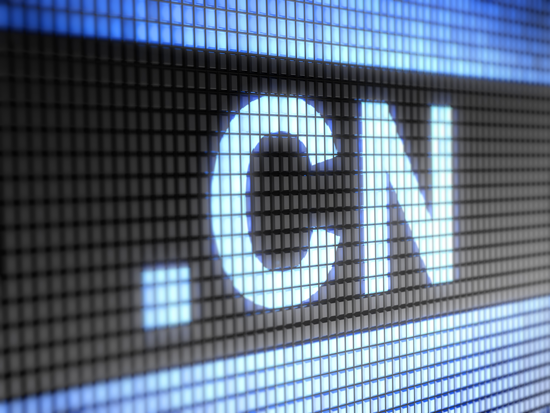 In March, the central government went a step further, mandating the use of Chinese-character TLDs for local governments, according to official documents. So, it comes as no surprise that the Chinese government to date has registered 20,452 domain names within the .在线 (.ONLINE) and .中文网 (.CHINESEWEBSITE) IDNs. Abiding by the central government’s directives is good business policy in China, as it marks a company as politically correct and, therefore, more likely to achieve economic success. The Chinese e-commerce giant Alibaba Group, for example, is among the first wave of corporations to adapt to this changing Internet landscape. In addition to its current domain portfolio of 2,000-plus domain names, Alibaba has just acquired some of its primary brands - 阿里巴巴(Alibaba), 淘宝(TaoBao), 天猫(TMall) and 支付宝(AliPay) – in Chinese characters under the .在线 (.ONLINE), .中文网 (.CHINESEWEBSITE), and .移动(.MOBILE) IDNs. Vancl.com, an Alibaba competitor in the Chinese e-commerce battlefield, also has begun using its Chinese domain 凡客 within the .在线(.ONLINE) IDN. Interest in .在线 (.ONLINE) and .中文网 (.CHINESEWEBSITE) is not limited to the Chinese government and domestic businesses. Multinationals based in other countries also are getting in on the act. ICANN records show that a number of companies registered their trademarks through registrars based in the U.S. and Europe. Microsoft, for example, registered its "Bing" and "Windows" brands in Chinese characters within .在线 (.ONLINE) and .中文网 (.CHINESEWEBSITE). Twitter registered “Tweet” and “Vine” within 在线 (.ONLINE), even though the central government has blocked Twitter in mainland China. Google also registered its “gmail”, “chrome” and “YouTube” trademarks within the two IDNs. Given the size of the global Chinese-speaking population and the huge market it represents, global corporations will distinguish themselves by acquiring an Internet asset in Chinese character domain names. As new Chinese IDN adoption and usage spreads, led by both government and business, Chinese consumers will likely follow. That, in turn, will increase public trust in the new extensions, leading to more widespread use. In the short term, based on the investment by the Chinese Government, its directive to use these sites, and the prevalence of cybersquatters, who may rush to register popular brand names in Chinese-language TLDs (as they have in other TLDs), it makes sense for businesses to register their brand names first in the Chinese IDNs. As more data on user adoption become available, global corporations will have to begin exploring the pros and cons of using their new IDN domain names for advertising, marketing, and other content. It may not be time to forgo .CN, but if a brand has or desires a presence in Chinese markets, new IDN TLDs are worth serious consideration.